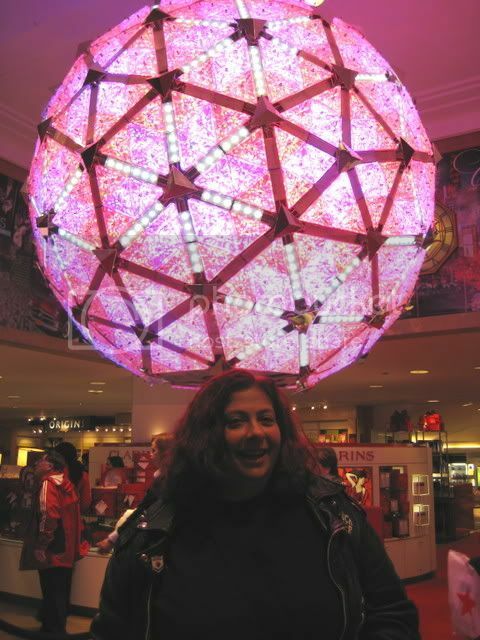 Yes, that is me at Macy’s with NYC’s New Years Eve ball. I won’t be spending any time with it tonight, neither in Times Square, nor on TV. It’s cold and blustery here in NYC. Luckily, my plans are totally indoors with a small circle of friends. As is my usual, I will avoid the countdown, the ball drop, and the toasting and kissing.